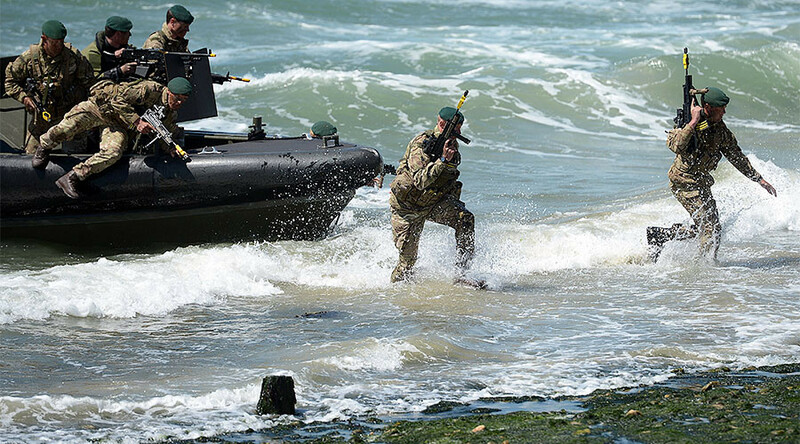 Up to 500 commandos could lose their jobs if military funding gaps are not plugged, a move that could leave the UK unable to project its power amphibiously and diminish its arctic warfare capabilities. 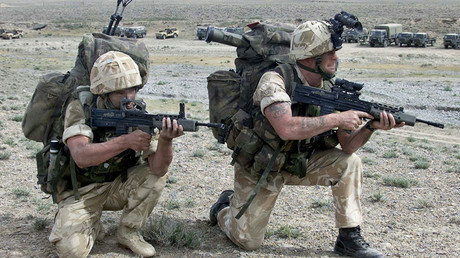 It is feared that one ‘Commando’ – the equivalent of 600-strong army infantry battalion – could be cut to save money, following news that the rush for new jets and ships has left defense with a £10 billion ($12.5 billion) shortfall. Defense chiefs may need to cut £1 billion per year over the next decade from budgets which are already under strain, according to a report by the Times. This would leave either 40, 42, or 45 Commando reduced to a smaller subunit, and the corps as a whole down to less than 7,000 personnel. Defense sources told the Times the cuts are being made to fund the UK’s two highly controversial aircraft carriers. Their eventual cost, depending on the source, varies between £6 and £9 billion. Replacing the Trident nuclear submarine fleet is also likely to run over budget, with some estimates putting the eventual cost at £205 billion. “The carriers are like this beast eating up financial resources and manpower,” a source said. The carrier program has been rocked with controversy, as they currently lack F-35 jets to carry, have no sailors to operate them, and, most recently, allegations that the protective paint used on them reacts poorly with sea water. The marines might also lose expensive annual exercises which they have become accustomed to. These include a seven-week training program in the US where they work with their United States Marine Corps counterparts, and their arctic warfare training in Norway. Arctic and mountain warfare is a long-standing specialism for the marines, and losing their main exercise could well diminish one of their key distinguishing capabilities.